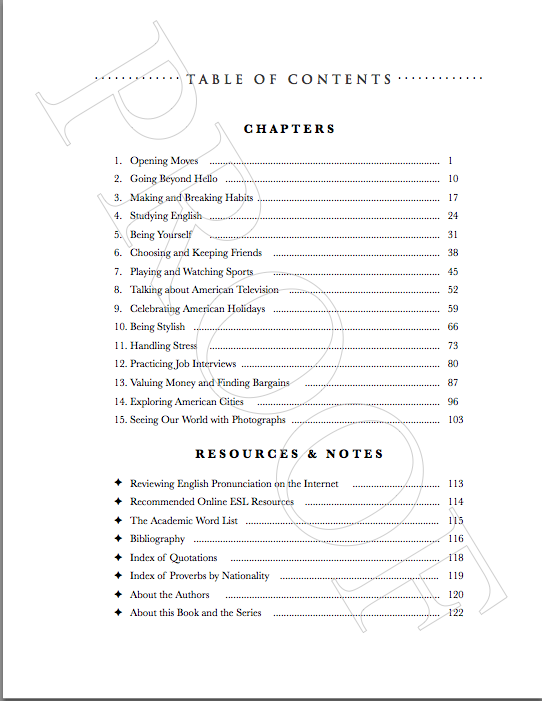 You can view the table of contents here–each chapter includes two sets of conversation questions, vocabulary review, short writing exercises, paraphrasing exercises with proverbs, a discussion activity around pithy quotations, and an online “Search and Share” activity. 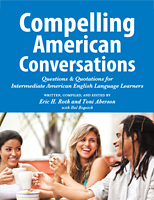 Focusing on both daily experiences and American culture, the materials help intermediate English language learners explore their lives, learn common American sayings and expressions, and develop vital discussion skills. Check out a sample chapter! To purchase a class set, contact Eric here. Compelling American Conversations can generate all sorts of discussions! What are people saying about CAC?